Eglise Val-de-Grace is located in Paris. 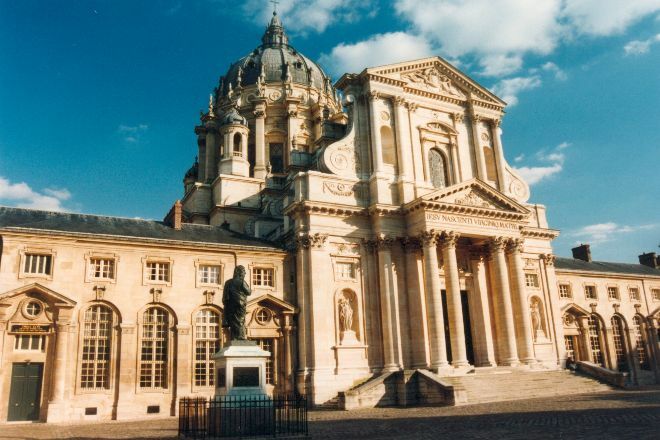 To visit Eglise Val-de-Grace on your trip to Paris, use our Paris vacation planning site . This Royal Chapel, built by the order of Anne of Austria, is a pure jewel of architecture. This work is little known to Parisians. Its immense courtyard and the convent that extends it, followed by a huge garden, with the Museum of the health of the armies, all this deserves the displacement. Highly ornated and nice museum.